With regards to this Green Colombian Los Idolos coffee beans it is sourced direct from Caravela. 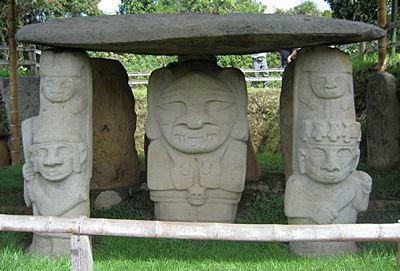 Around three centuries ago the pre-Colombian civilisation known today as “San Agustin” flourished in the mountains where the Magdalena River is born. In addition this culture was characterised by imposing monolithic sculptures and tombs created on hilltops throughout the region. Although the civilisation mysteriously disappeared, their burial sites being re-discovered in the 1960’s by a group of explorers, led by the local inhabitants. Among the better known sites discovered was “El Alto de Los Idolos”, a group of several burial sites atop a hill dating back to the 1st century BC. Near from “El Alto de Los Idolos” sixty four small coffee growers gathered together under the banner of “Grupo Asociativo San Agustin Los Cauchos”, to form a coffee growers co-operative in 2001. By getting together the growers could secure a higher income through the sale of high-quality coffee. Los Idolos™ was chosen as a way of honouring the region’s ancestral origins. Since inception their focus on standardising practices, improving their beneficios (allocations) and drying patios. As a result small increases in quality have affected each crop. This process has spurred member’s commitment, increasing pride in each small achievement and knowing that every improvement is a step forward towards better and better coffee. Since 2002, the members of Los Cauchos eliminated all their illicit crops. Above all they had and committed to producing high-quality coffee instead. Thanks to Caravela’s continuous feedback about their cup quality, members of Los Cauchos have gradually increased the quality of their coffee. Importantly obtaining premiums between 35% and 50% above the internal market price. In fact the increased income has helped them invest in improving their infrastructure and their quality of life. Members of Los Cauchos are seen as a light of hope for smallholder farmers of this beautiful and once prosperous region. Now being a localised point of potential development, which is legal and sustainable over the long-term. The coffee is a medium acid coffee. Add to that a delightful caramel-like sweetness, toffee and caramel flavours, with lots of orange and mandarin notes. Furthermore the after taste is a malty and refreshing. 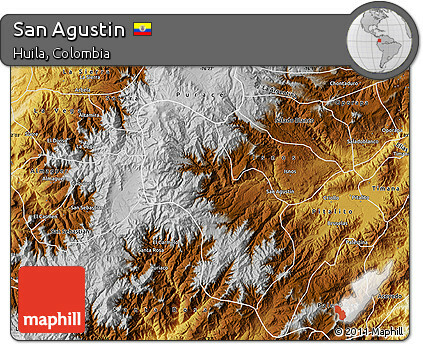 Region: Vereda Los Cauchos, Municipality of San Agustin, Department of Huila, Colombia. Species/Varietal: Arabica / Cattura and Typica. Growing Conditions: Semi-shade grown in highland areas. Altitude grown: 1,600 – 1,900 meters above sea level. Prime Attribute: Fruit and spice. 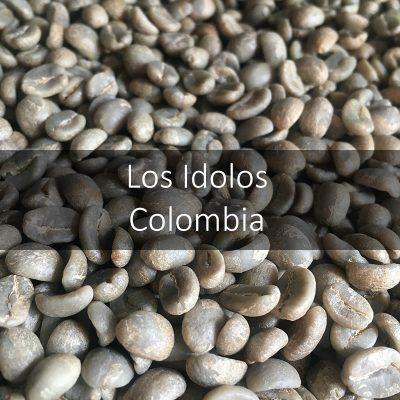 Score/rating: We only use the AA rated Los Idolos which rewards the farmer with a premium.